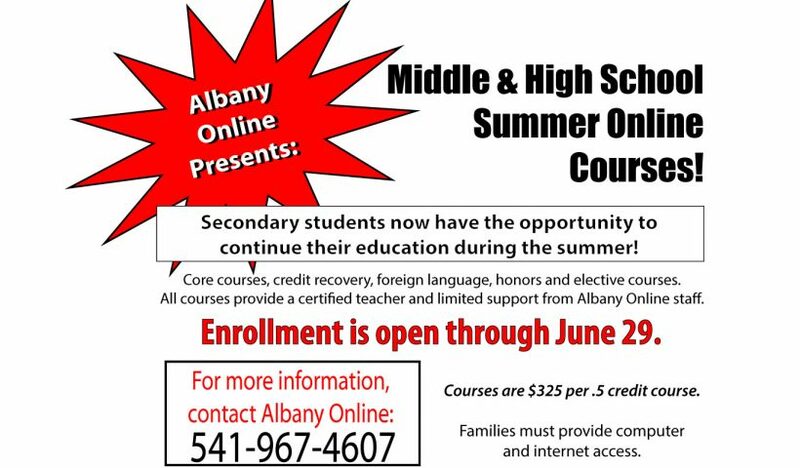 Albany Online is offering a variety of courses this summer to help students recover credits or earn additional credits outside of the school year. Enrollment is open now through June 29. Courses are $325 per .5 credit course. 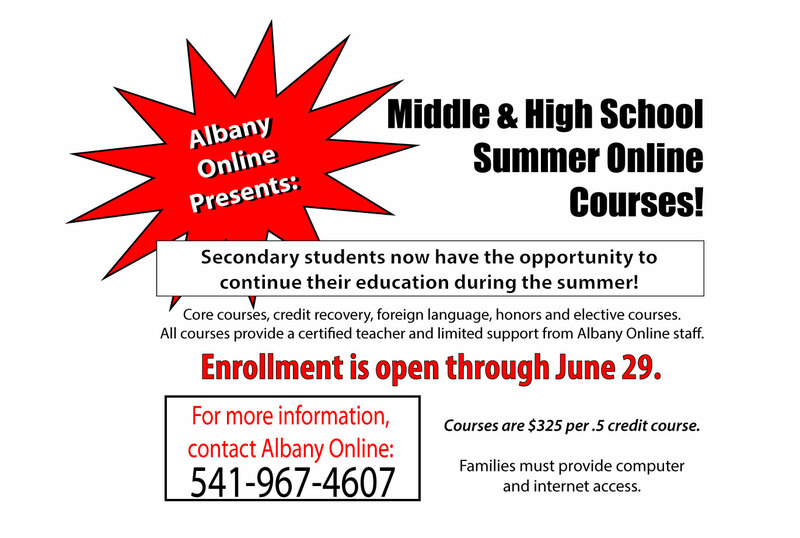 For more information, call Albany Online at 541-967-4607. Albany Online ofrece una variedad de cursos este verano, para ayudar a los estudiantes a recuperar créditos u obtener créditos adicionales fuera del año escolar. La inscripción está abierta desde ahora hasta el 29 de junio. Los cursos cuestan $325 por curso de 5 créditos. Para más información, llamar a Albany Online al 541-967-4607. Ver el volante para más información. AOS is dedicated to providing students with a smaller learning environment, social and emotional stability, support, and a variety of programs and opportunities for students to meet their educational goals. Go Knights!